The whole plant of perennial herbaceous plant Lysimachia christinae Hance of family Primulaceae. The provinces in southern area of Yangtze River. 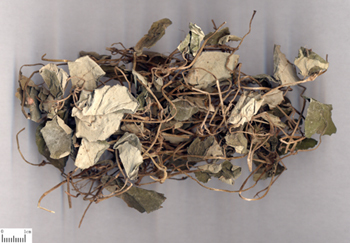 Dry, yellow branch, green leaf or with flower and fruit, clean. Cut into pieces and unprocessed. Sweet, bland and slightly cold; liver, gallbladder, kidney and bladder meridians entered. Excrete damp to relieve jaundice, induce diuresis to treat stranguria, remove toxicity and relieve swelling. It can not only drain and remove dampness but also clear heat from liver and gallbladder. So it has the actions of clearing heat, draining dampness and anti-jaundice, and is indicated for jaundice due to damp-heat accumulated in liver and gallbladder and dysfunction of liver and gallbladder. It is usually combined with Yin Chen Hao, Zhi Zi and Hu Zhang to strengthen the actions of clearing damp-heat from liver and gallbladder. It is good at draining damp-heat from lower energizer, inducing diuresis to treat stranguria. It can also clear and excrete damp-heat from liver and gallbladder to remove stone. So it is the essential herb for urolithic stranguria, heat stranguria and gallbladder stone. 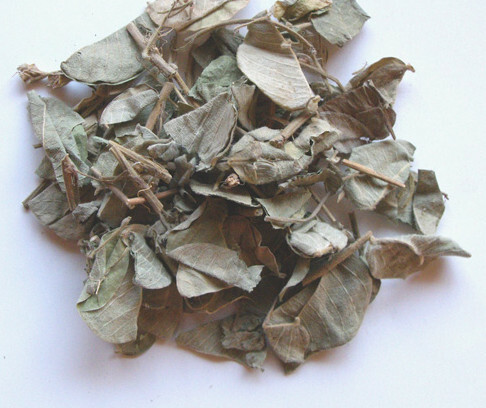 It is good at treating urolithic stranguria, and it can be decocted alone with large dosage or drunk as tea, or combined with the stranguria-treating and stone-removing herbs such as Hai Jin Sha, Ji Nei Jin, Hua Shi; for heat stranguria, it should be combined with the heat-clearing and diuresis-reducing herbs such as Che Qian Zi and Bian Xu; for stones of liver and gallbladder, it should be combined with the bile-excretion-promoting and jaundice-alleviating herbs. For instance, it can be combined with Yin Chen Hao, Da Huang and Yu Jin, etc. in Li Dan Pai Shi Pian from Pharmacopoeia o f the People's Republic of China. It has the actions of clearing heat, removing toxicity and relieving swelling. It is indicated for sore, swelling and snake bite. It can be smashed into juice alone for oral taking or for external application. It can also be combined with Pu Gong Ying and Ye Ju Hua to strengthen the actions of clearing heat and removing toxicity. Decoct 15~60 g, double dosage when using the fresh one. Proper dosage is for external application.